Watch the Live scores and every match updates between Rajasthan Royal (RR) vs Kings XI Punjab (KXIP). In this match biggest hitter of the IPL history, Chris Gayle is also Playing. Can KL continue their high strike rate batting in this match? 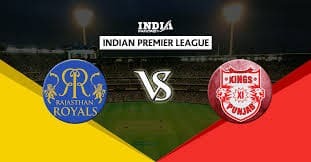 The fourth match of the 12th edition of Indian Premier League (IPL) will be played on Monday at the Sawai Man Singh Stadium in Jaipur between Rajasthan Royals and Kings XI Punjab. This is the first match between the two teams in the tournament. Talk about all the editions of the tournament, so far there have been 17 matches between the two. Of these, Rajasthan has been unbeaten in winning the Royals 10 and Kings XI Punjab 7. At Sawai Man Singh Stadium, five matches have been played between the two. Every time Rajasthan’s team has managed to win.